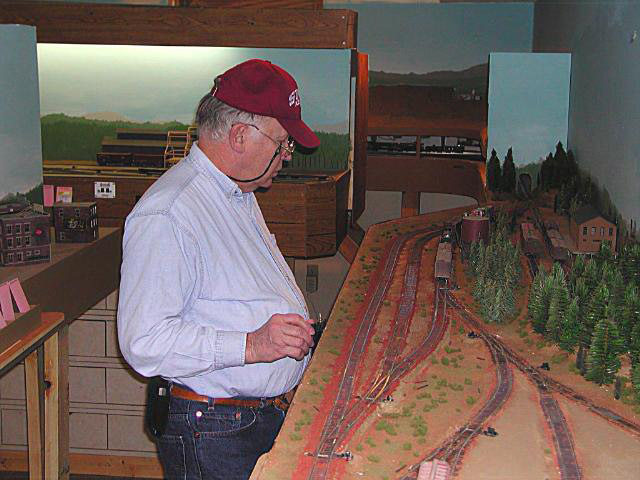 James McLeod has been building a layout inspired bu the McCloud River Railroad as it existed in the late 1950's. He has captured the look and feel of the line very well, as the following photos show. James currently has big plans for expansion into an adjacent room. 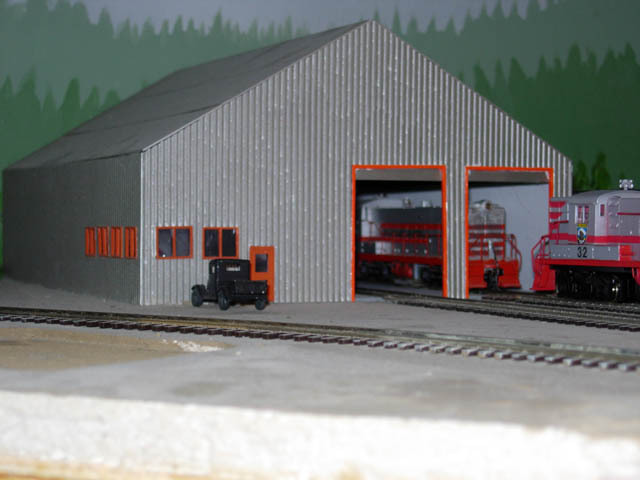 Thanks much to James for sending these photos of his work! 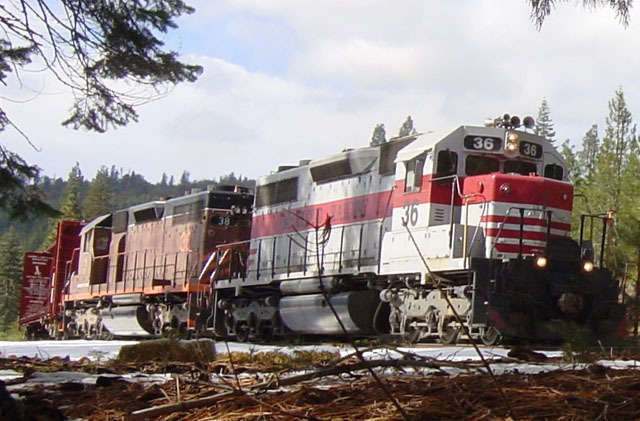 #32 and #33 resting in front of the McCloud depot building. These two models started out as Stewart RS-12's, with dynamic brake grids created from Stewart AS-16 shell parts added. The track plan of the current layout. 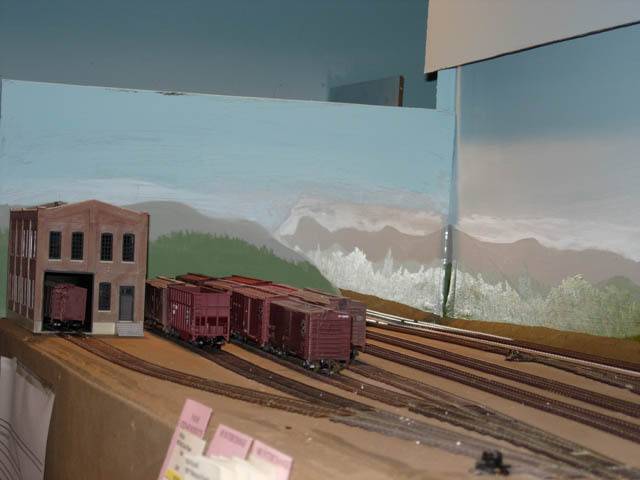 This part of the layout represents Mt. Shasta City and the interchange with the Southern Pacific. 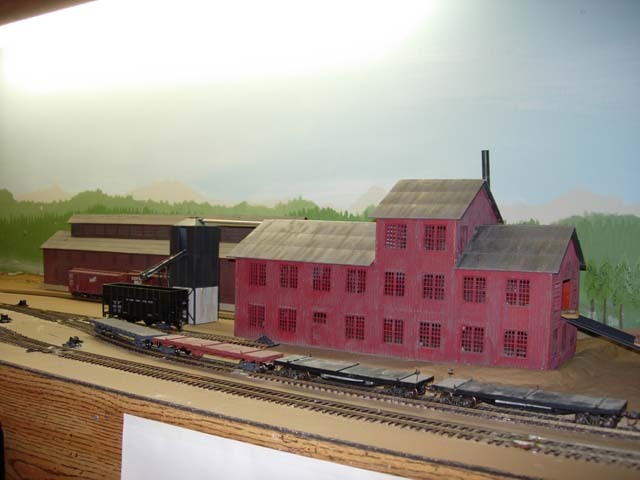 The building to the left represents the P&M Cedar Products sawmill. The sand tower and fuel tank in McCloud, with the shop in the background. 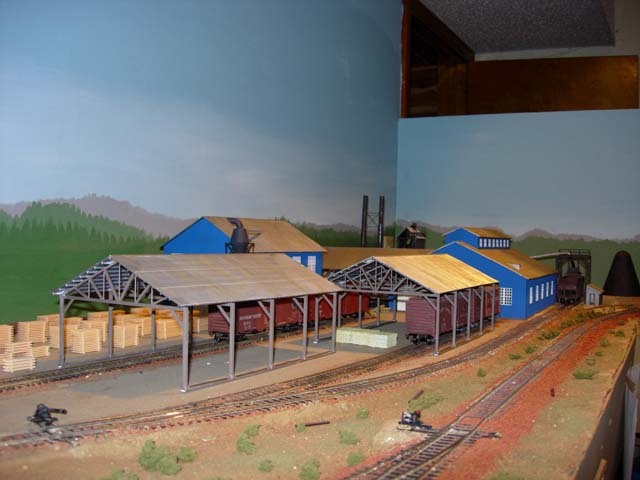 This facility represents the Scott Lumber Company plant in Burney. 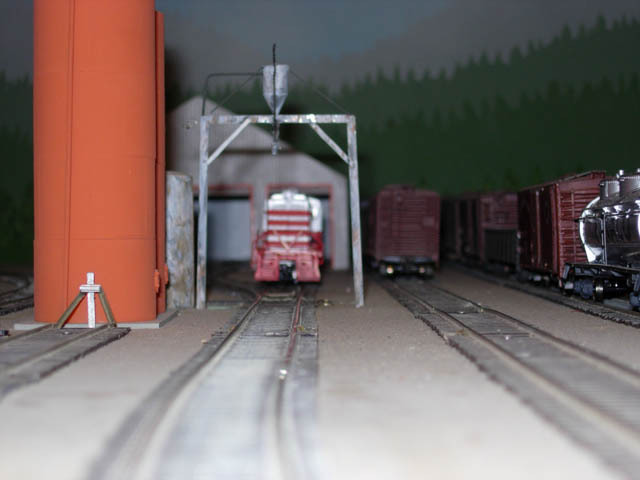 One of the operators switching the McCloud yard. Another member of the operating crew working at Berry. 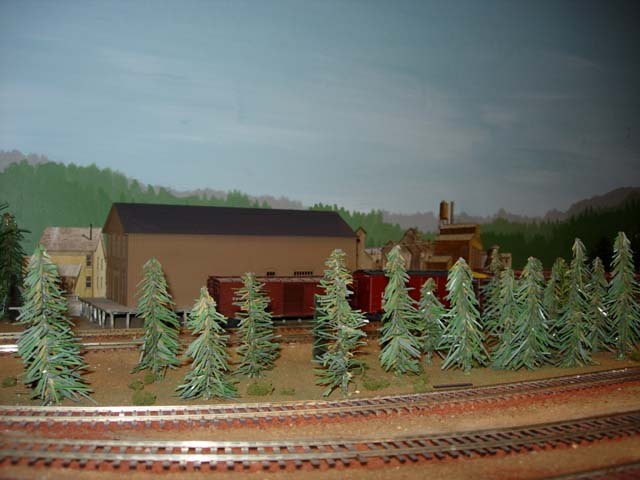 Most of the locomotives on the layout are diesel, but there are a few steam locomotives left. 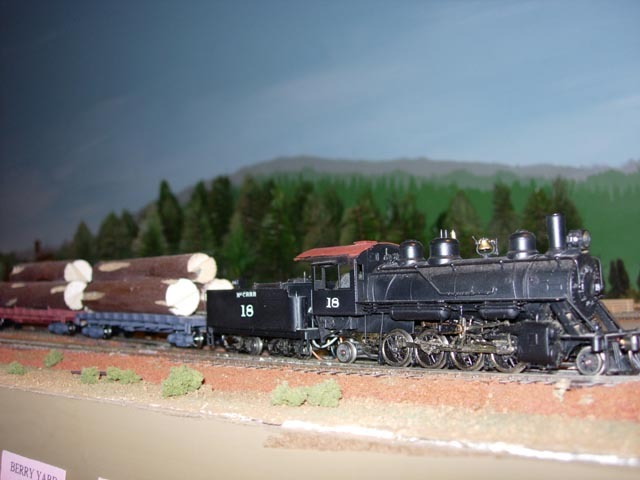 The #18 is seen here with a log train at Berry. 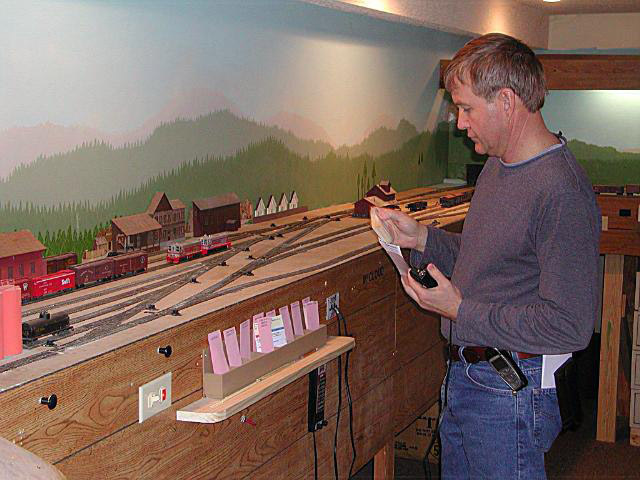 Yes...this is a models page...but McCloud Rails staff could not resist adding this fine shot captured by James' wife Janice of the #36 and #38 on the tail track of the Signal Butte switchback in October 2004.